6 February, 2017, New Delhi: The issue of service charge by restaurants and hotels has been a hot topic of discussion over the past few weeks. It has come up time and again but looks like a decision will have to be taken now. 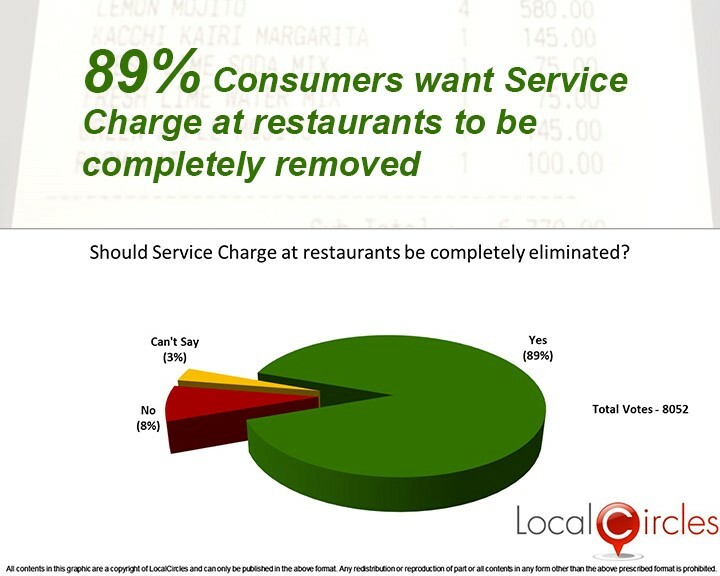 According to a recent survey conducted by citizen engagement platform LocalCircles, 89% consumers want the Service Charge at restaurants to be completely removed. Only 8% consumers said that they were okay with paying the service charge whereas 3% did not have an opinion. The survey received over 8000 responses from consumers in over 100 districts of India with 66% male and 34% female participation. 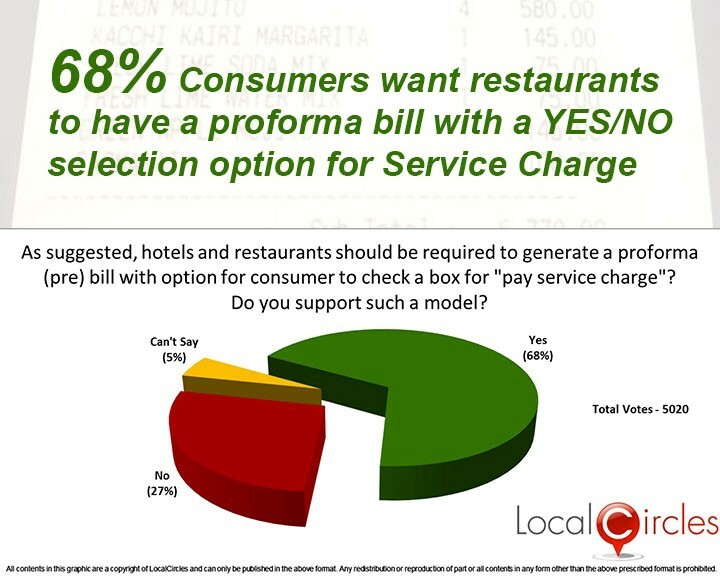 In a related survey done a month back where the question was about the model of charging service charge, 68% consumers had said that they wanted restaurants to have a proforma bill with Yes/No selection option for service charge. Out of the 5000 odd responses received in that poll, only 27% consumers had said that they were fine with paying whatever service charge was charged to them by the restaurants. 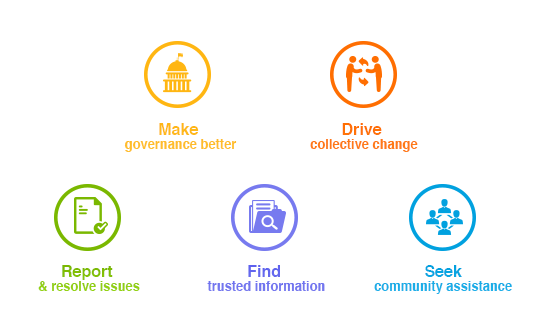 In the event, Service Charges cannot be removed the Optional Service Charge model described above is to be implemented, consumers said that the implementation monitoring of the ‘optional service charge’ should be thoroughly done. Consumers believe that an advisory should be issued by the Department of Consumer Affairs to all the restaurants and restaurant associations followed by strict implementation by the food commissioners and food inspectors, under the leadership of the District Magistrate. The food inspectors should play a role in ensuring all restaurants receive the advisory and in future the Food Inspectors should do random checks at restaurants to ensure compliance. They also suggested that various media campaigns should be done to make the consumers aware about Service Charge being optional and how the invoice should give them an option. The inputs are being submitted to the Department of Consumers Affairs on February 6, 2017 so necessary actions can be taken to protect the interest of the consumers.